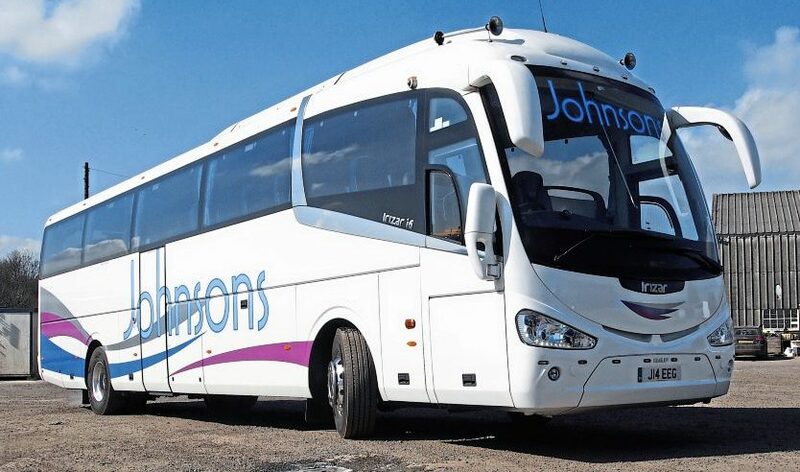 Johnsons Coaches doesn’t struggle to find younger drivers to replenish the ageing pool. Find out how. Coach drivers below the age of 40 are a rarity, it would seem. 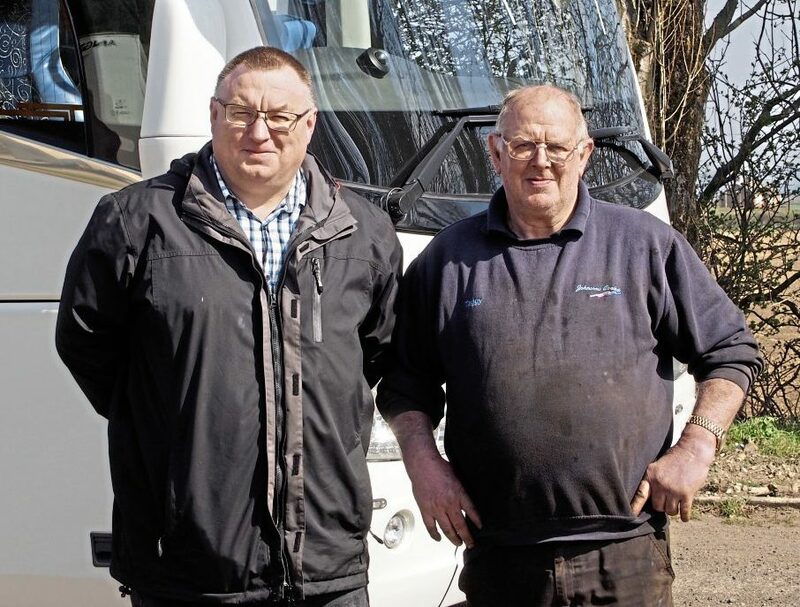 But there are exceptions, like Dale Worsfold from Shaws of Whitley, who is in his 20s and loving coach driving (see B&CB 1518, 22 February 2019). 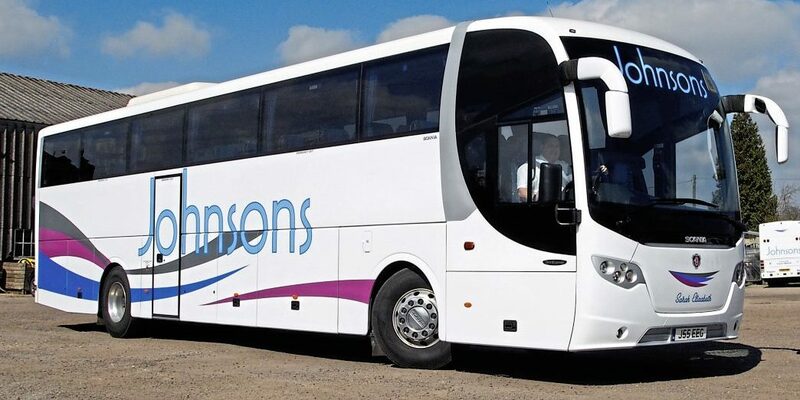 When we published the article featuring Dale, Johnsons Coaches of Hibalstow, a village near Gainsborough, Lincolnshire contacted us saying they knew the young man when he was learning to drive. 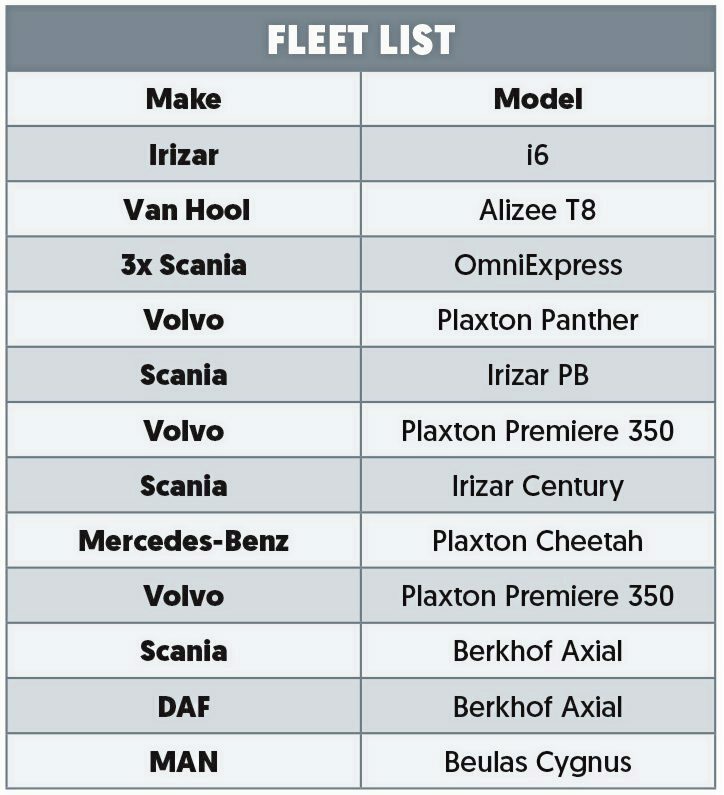 Not only that, but at its depot, younger drivers are actually quite common. 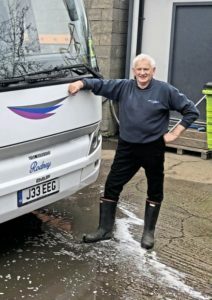 Martin himself was a younger driver, passing his PCV test with JR Dent of Market Rasen when he was 18. Due to his age and the restrictions on the licence to only drive 50km from the depot, the work he did revolved around school runs. 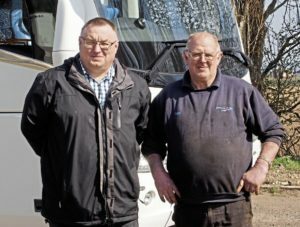 When he turned 21, he moved out of the bus and coach industry and on to a haulage firm, which happened to be on the same industrial estate at which Johnsons is based. Rodney Atkin, one of the older generations to work at Johnsons, is 74 years young! After losing a big national contract, the nature of the work changed at the haulage firm, meaning it had to rely on operating bulk tippers in the local area. This was not the kind of work Martin was interested in, so in 2007 he went to Barnards full time, in an office role. He quit in August of that year and was due to get married in New Zealand in January 2013, so between those months he registered as self-employed and ended up doing a few school runs and other jobs for Dents and NL Johnson at Goxhill. It was around this time the owner of NL Johnson wanted to retire, so the chance for Martin to buy the operation presented itself. He checked with an accountant the potential for buying the business. “I was told it was profitable but I would not make much out of it.”Martin spotted some serious inefficiencies in the way the operation worked: “The owner was doing some jobs for £50 when they were worth £100. She didn’t want to pack up and lose those customers, so she asked me if I wanted to buy two of the vehicles and keep the customers happy. I said yes, but I want a payment plan. 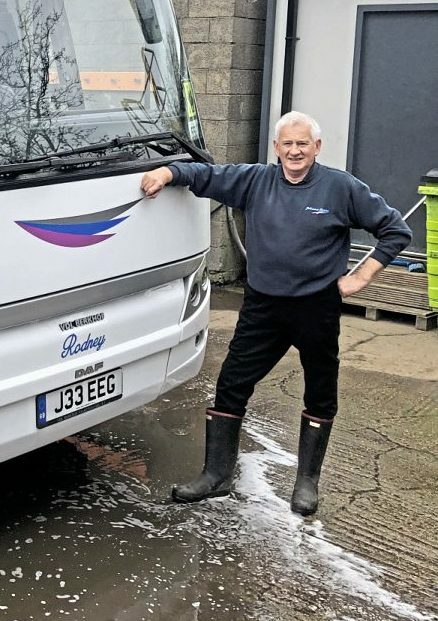 In the meantime, I applied for three O licences.”Once his licences were processed after he came back from New Zealand, Martin registered with First to do rail replacement work on a line from Doncaster. Over the following months, he slowly purchased NL Johnson’s vehicles and the owner ceased trading. 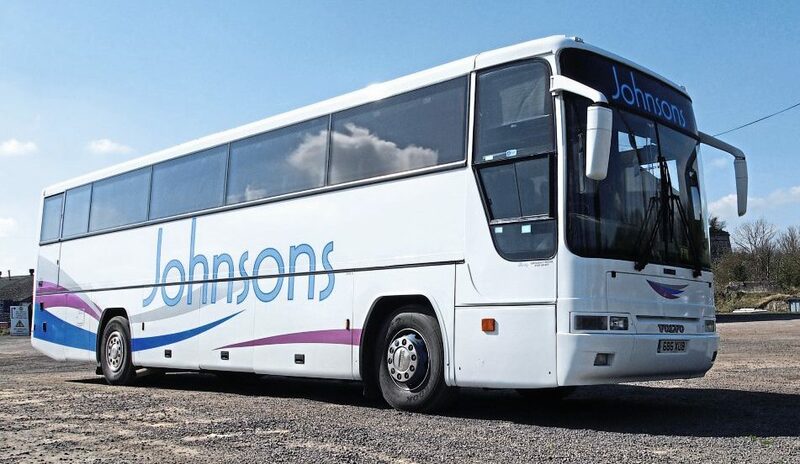 Two school runs were transferred across and the name Johnsons was retained for the fleet. The two drivers he took on were in their 60s. Sadly, one passed away, but one of them, Rodney, is still going strong. “All the time he was with NL Johnson, he never had a coach he could call his own. I gave him a 2009 Berkhoff Axial 50 on DAF running gear and had a message on the side of his coach, ‘In memory of John Laurence’, his best friend. He loves it. He’s 74, but he says he feels like an 18-year-old now. He loves his job. His CPC expires in September and he’s saying he wants to do it again. “But I don’t know what’s going to happen with CPC in September,” he said, referring to the changes Brexit might bring. Johnsons’ training is carried out at East Yorkshire (formerly known as EYMS) in Hull, by its training division headed by Darren Kendrew. Martin has put and is happy to put people through their PCV test too. His wife, who is in her 30s, is doing her test this year. His sister, in her 40s, is doing her test too. A mark of how aware he is of his employee’s family situation, he listed how many children some of his drivers have and even what age they are. He is even aware of what grandchildren his older drivers have. He said: “Youngsters don’t want the out-of-hours work. I’m afraid in this industry, there are those drivers who, if they smoke, are poorly paid and basically can’t keep a penny saved. You get that sort of driver and it’s them who need to do the out-of-hours kind of work. Keeping his drivers in touch with the office is the Verizon Connect fleet management system. The solution can track vehicles on web-based maps and provides dashboards for users to notice any trends across the business. All of the drivers have the app for this, which means they can all be messaged via it. Good communication is promoted at Johnsons and helping achieve this is the fact the younger drivers are all friends. Martin said: “Dale had his friend Lee, who he told how good it is to work here. Lee came here and was put through his test and he’s been here four years now. Then we had Sarah, Dale’s wife. He asked if she could be put through her test. She was training to be a hairdresser at the time, but there isn’t a lot of money in that. Sarah tested with EYMS and came onboard with us. She loves her job. We put them together on jobs; they’ve done skiing trips together. They come in one car and go in one car. They’re young, they’re in love, they want to start a family. 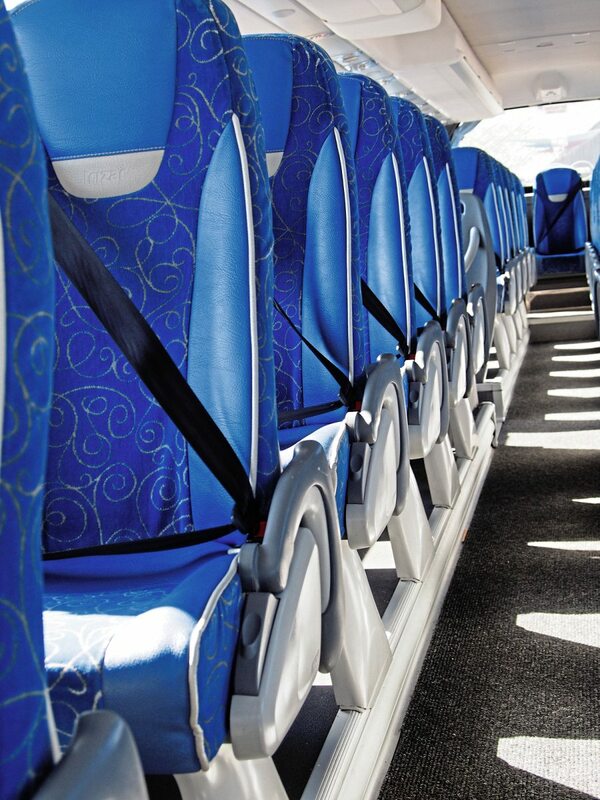 To keep the vehicles on the road, the operator uses MasterPart, especially for parts for its integral Irizar. 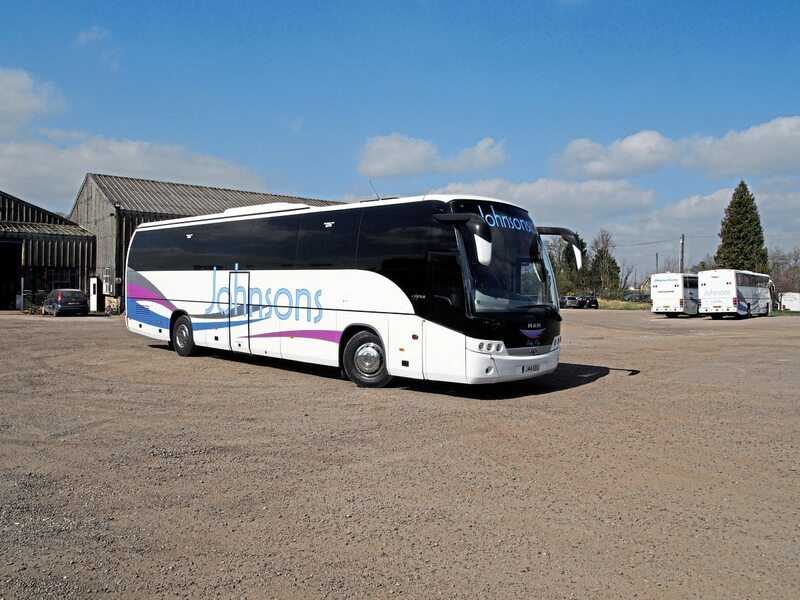 Martin has a good relationship with Lee and Antony Johnson from Johnson Brothers, based on the same site as MasterPart and Irizar. He has known the Johnsons for years. For retrimming and refurbishment, he uses Express Coach Repairs of Pickering. He has also made use of Express’ neighbour, Floor Tek N Trim for seating work.Maintenance is carried out in-house, with a workshop area complete with inspection pits for this. Heading this part of the business is Raymond, Martin’s father, who previously worked for Dents. He has been in the industry for 50 years. Vehicles are maintained to a high standard, having gone from an OCRS score of grey (unknown operator) to green (low-risk operator). The workshop is based in an industrial site known as the Old Cement Works, a site Martin admits is the one thing that could be better – it gets dusty when it is dry and the wind is up. Taking a look around the yard gave a chance to speak to some of the younger drivers: Lee Cutter (30), Dale Robinson (32), Sarah Robinson (24) and Matt Sandy (38). They were all positive. “It’s a good way to get to see the world,” said Sarah. “I do spend thousands on them,” Martin said, back in the office. Being a young driver myself in the industry I absolutely love it. I started driving at 21 years old and am now 36. It’s the best job I have had and my boss is also like Martin of Johnsons.